Gerhard Guter was born and raised in the San Francisco Bay Area. His first musical studies were in piano, but he soon fell in love with the trumpet and decided to pursue it in both classical and jazz idioms. He later joined the jazz vocalists while a student at the University of Miami. 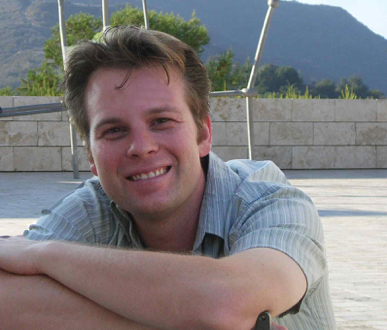 Today, Gerhard lives in the Los Angeles area. Gerhard co-produced and mixed Vocalogy: Distilled before the group’s 2005 International Association of Jazz Education Convention performance. Gerhard has scored six short films. One of his orchestral film scores was featured at the Orpheum Theater for the 2004 Ovation Awards. His work has been aired on The History Channel and he has written music for the online gaming phenomenon World of Warcraft. Gerhard is a member of ASCAP and is a certified Pro Tools HD Operator (music). Gerhard received a DownBeat Magazine award for Engineered Studio Recording in 2003. His studio work includes production and orchestral arrangements for Celebrity and Crystal Cruise Lines and Microsoft. In 2002, Gerhard directed the Cal State Long Beach Summer Big Band and was honored by the American Society of Music Arrangers and Composers for his big band arrangements. His jazz big band compositions are distributed through Walrus Music Publishing. His vocal arrangements are available through UNC Jazz Press, Matfal Music and Sound Music Publications. Gerhard has taught over twenty-five different music courses at the college level. He joined the faculty at Elmhurst College in Fall 2013 as Assistant Professor of Jazz Studies and Music Business, where he taught courses in jazz arranging, history and music production. He returns to Los Angeles to resume his work as a freelance musician. His projects include work as producer, editor, arranger, trumpeter, and vocalist for Vocalogy “Refilled,” the group’s long-awaited sequel recording. The album can be purchased at the iTunes store here. 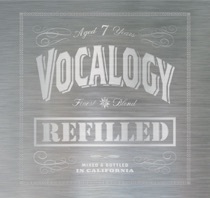 Check out Gerhard’s production, arranging and performances on Vocalogy’s release “Refilled!” On iTunes here.